This article is meant to assist you with the extendedReach Field Codes. You must be an Agency Administrator to access the “Administration” menu on the left side of your Workspace. 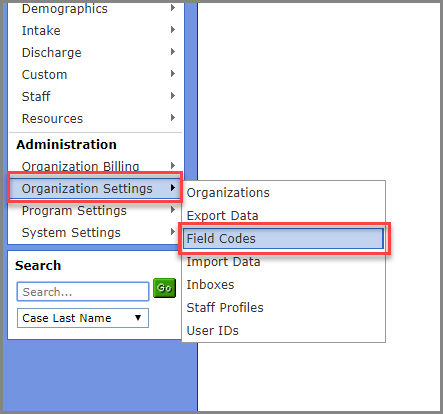 Go to “Organization Settings” and click on “Field Codes”. Field Codes are short-cut codes used to produce pre-filled Microsoft Word documents and case notes in the extendedReach system. 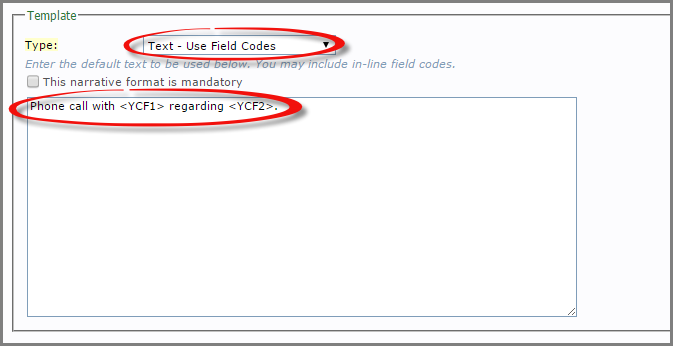 Field codes are organized by “Type”, “Code”, “Description”, and “Field”. Code – This is the shortcut name you will place in your document to denote data values. Description – This is the full identification of the value. Field – This contains database content used by developers within eR. 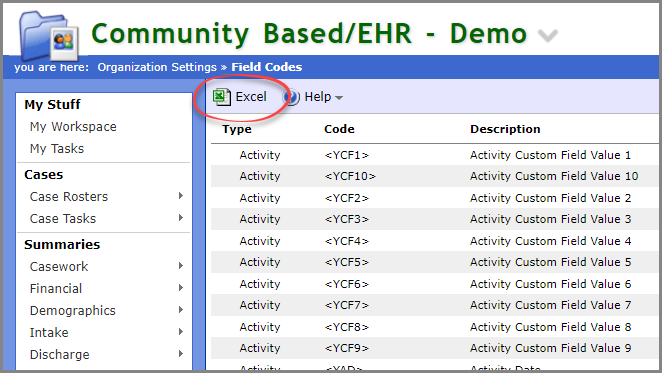 “Excel” – Click on this to export the most recently updated list of Field Codes for your agency. 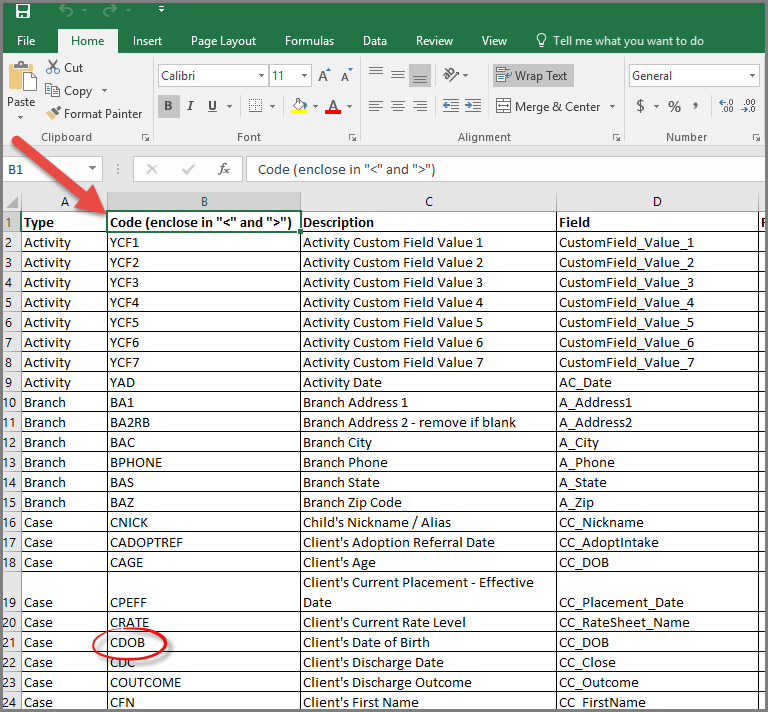 Print the Field Code Excel spreadsheet or search for codes directly from it. 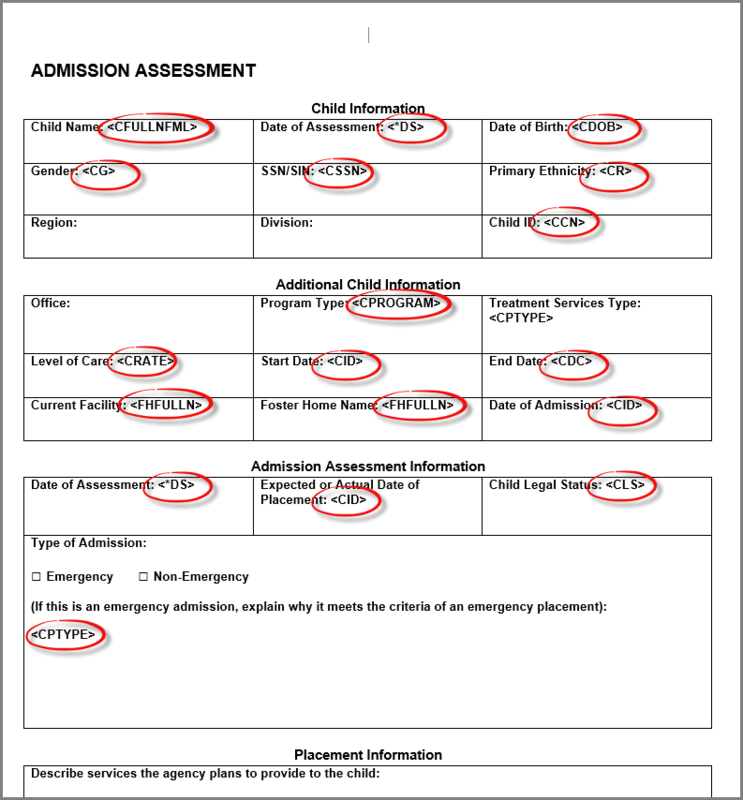 For each Microsoft Word document you use within your agency, place Field Codes where you want particular data values to appear. Type: Always use “File – Use Field Codes” when you are adding Field Codes in this Template. Attachment Icon: Attach MS-Word document(s) with Field Codes to your Template. This is what a Microsoft Word document looks like with field codes. This is what that same Microsoft Word document looks like with the Field Code function executed. 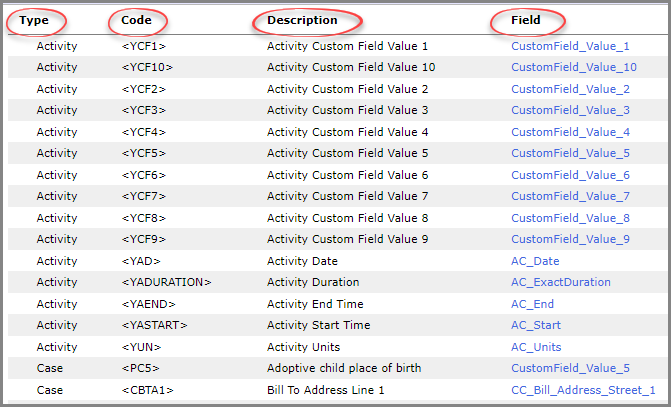 Type: Always use “File – Use Field Codes” when you are adding Field Codes in this Activity Template. This narrative format is mandatory: Check the box if this format is required when workers make case notes in this Activity Type. Narrative: Add the narrative with Field Codes. 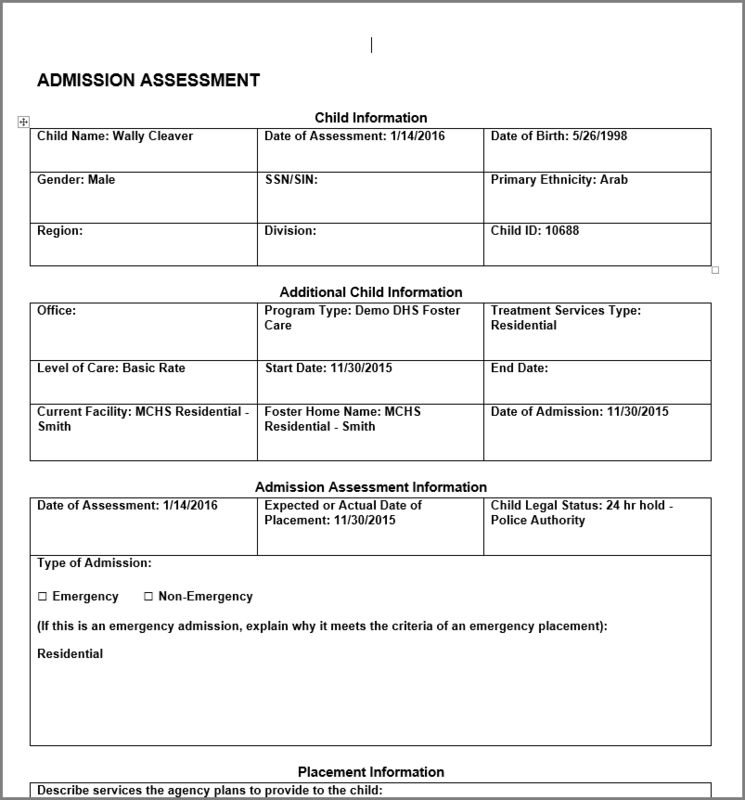 This narrative will appear when you access this Activity Type in the eR system. Once you’ve set up this template with Field Codes, this is what you will see when making case notes.